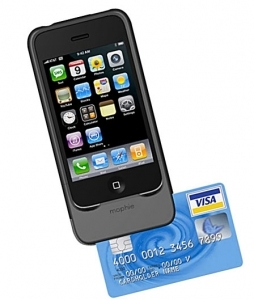 We offer mobile credit card processing solutions for smart phones. Designed for business on the go, AppCharge, transforms any iPhone®, iPad® and iPod Touch® and many Android™ devices into a credit card terminal. Merchants have the convenience of a mobile merchant account and ability to accept payments, whether in the office or on the road. Never miss a sale! For more information about our mobile credit card processing solutions for your iPhone® and more, call us today at 888-383-8056 or visit our IPhone / smartphone page.